Last week I showed you this awesome Hanging Gutter Planter from The Home Depot’s DIH Workshop. It would be awesome hanging off the roof of your porch this summer! It’s super windy here in the Spring. In fact, it’s been SO windy that ALL of the sand we just put down in our sandbox was blown away in two nights. That was a sad day my friends… Needless to say, I was a little worried about hanging my gorgeous new planter from the top of my porch. We came up with a solution to hang it close to the house in my outdoor mantel! We built the mantel from pallets and trimmed it out with this wood trim from The Home Depot. It’s been hanging for over a week now, and even though it’s still kind of cold here at night, the Primrose flowers I got from The Home Depot are still blooming and looking great! I also love the new rocking chairs, rug, and pillows I got at The Home Depot, they have the cutest selection right now! The Hanging Gutter Planter was so easy to make and cost under $20 to make, without the flowers. If you’re ready to make your own, you can find a class at your local Home Depot! The Home Depot is always teaching fun classes for Do-It-Yourselfers, DIH (do-it-herself), and kids classes for people at all experience and skill levels. They’ll show you how to build awesome projects like the Hanging Gutter Planter, and they even have classes to show you how to use power tools! Anyone and everyone is welcome! Our kids love doing their workshops, and I love taking them because they make the mess at The Home Depot and get to bring their cool treasures home. Not every class allows you to bring your projects home, but you will leave with the skills to DIY at home! Plus, the classes are free! To register for the upcoming Hanging Gutter Planter workshop click here. 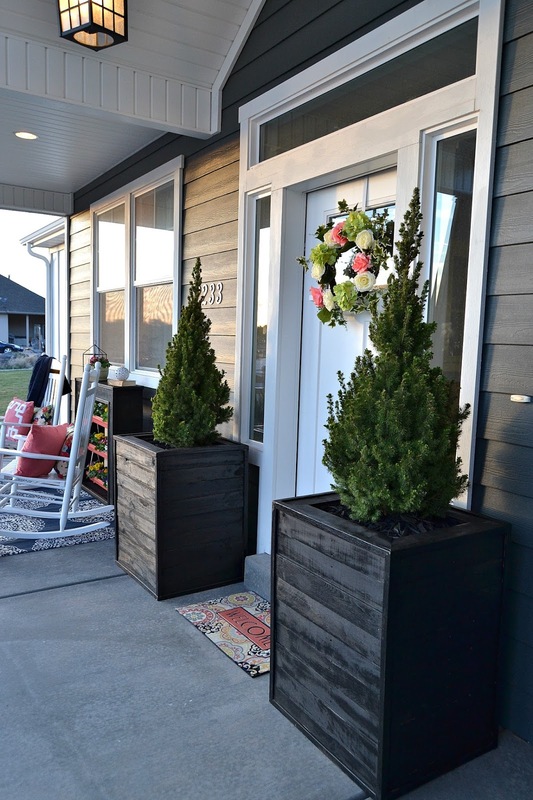 It only takes a few seconds and you will be well on your way to having a beautiful planter for your porch! I used RUST-OLEUM’s Coral Gloss spray paint to customize my planters. 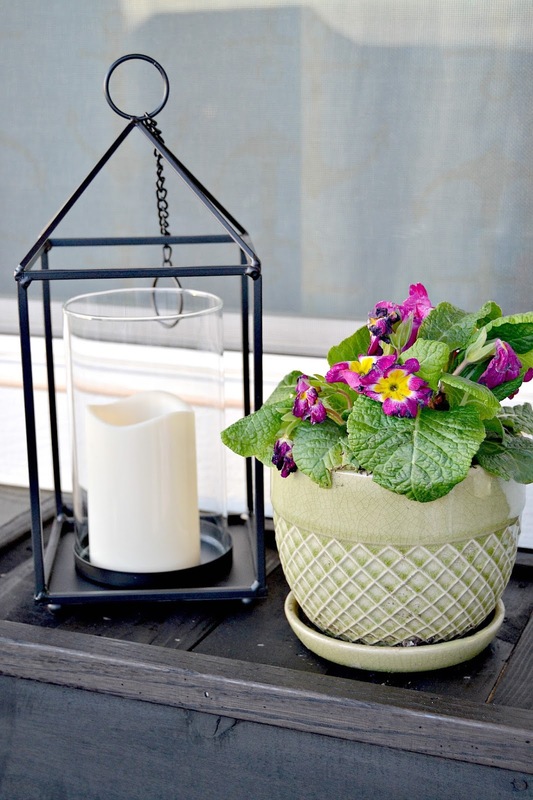 I got this cute lantern and flower pot at The Home Depot as well. I was in heaven picking out all these fun things for my new porch. It was so boring before we jazzed it up with the Hanging Gutter Planter and all other cool stuff I got at The Home Depot! 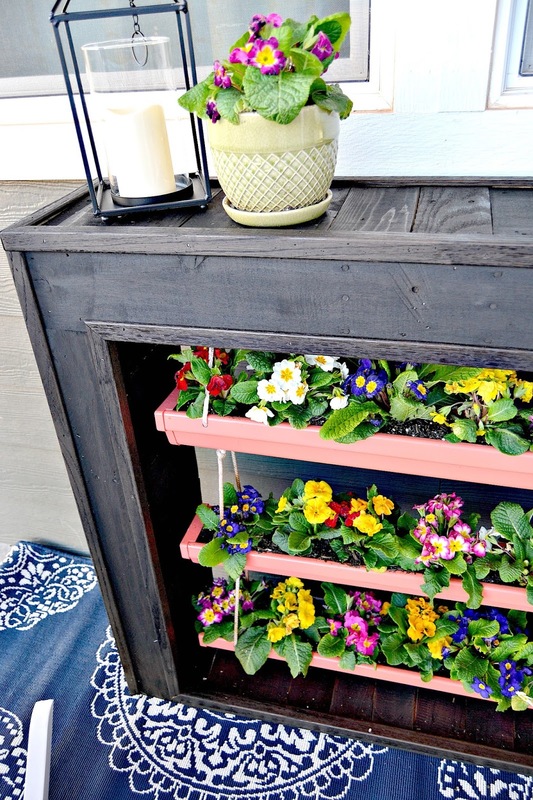 Now I’m sure you’re excited to see other ways that you can decorate with this Hanging Gutter Planter, so I’m going to send you to some of my favorite blogs! Happy blog hopping! I love your gutter planter! 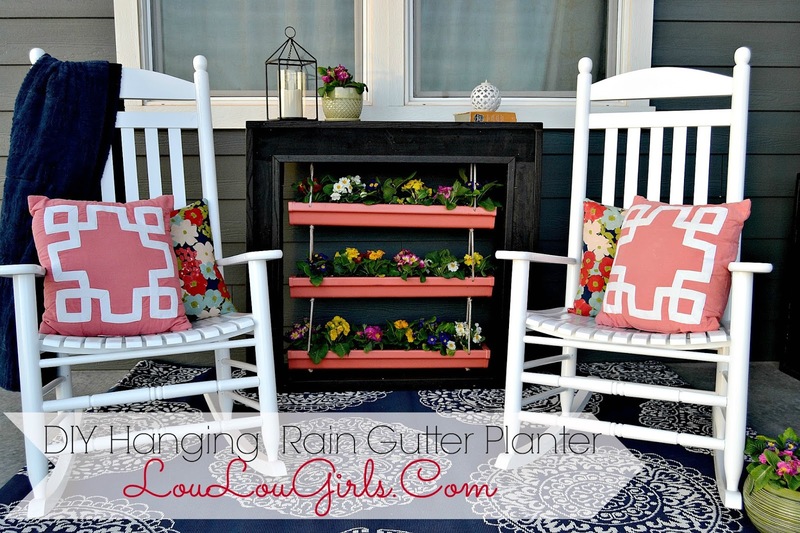 I never would have thought of using a gutter but I love it! Pinning! This is so pretty, and looks perfect tucked in safely. I love the colour. We don't really have porches here in the UK, certainly we don't tend to put decent stuff out at the front of our houses but I think this idea would work in any garden and pretty much anywhere that needs brightening up. 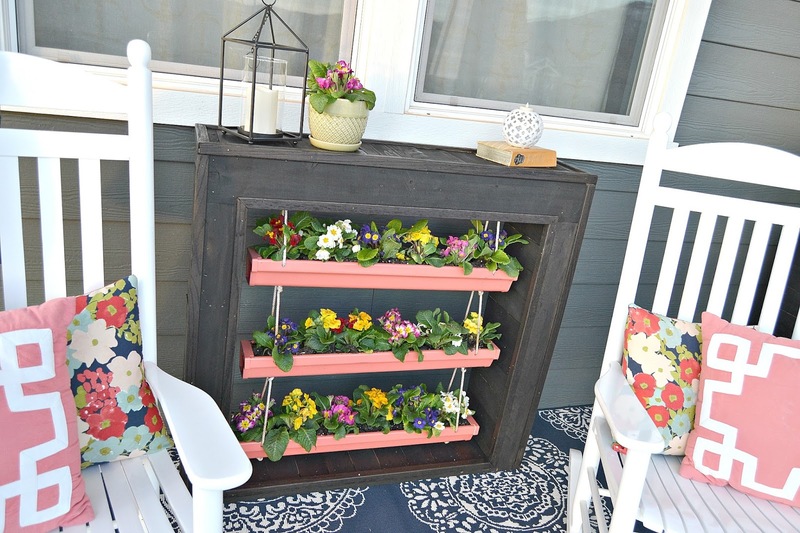 Love your gutter planter on the porch. It looks perfectly at home all tucked away. Lots of smiles I'm sure while rocking in the chairs. pretty….. Yes, we are thoroughly enjoying the rocking chairs too! 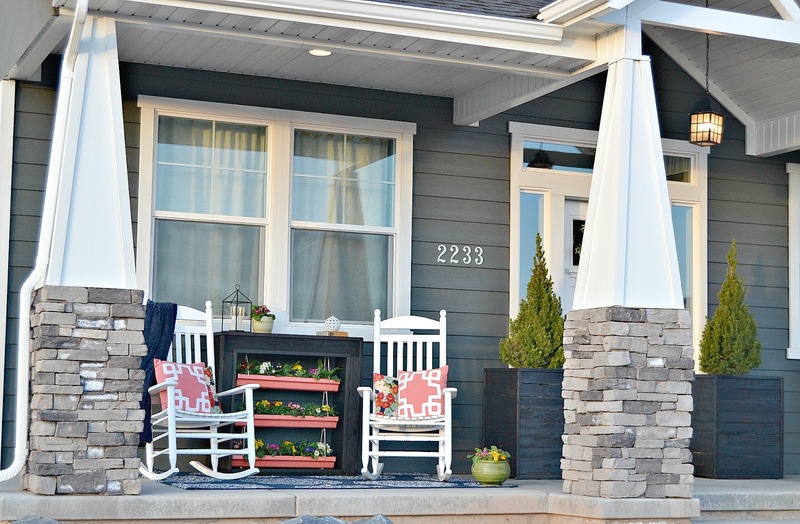 Love your planter, it looks so good on your porch with those pillows! Thanks Amy! I love everything you make! Love how the planter is hung inside the mantel – pure genius! 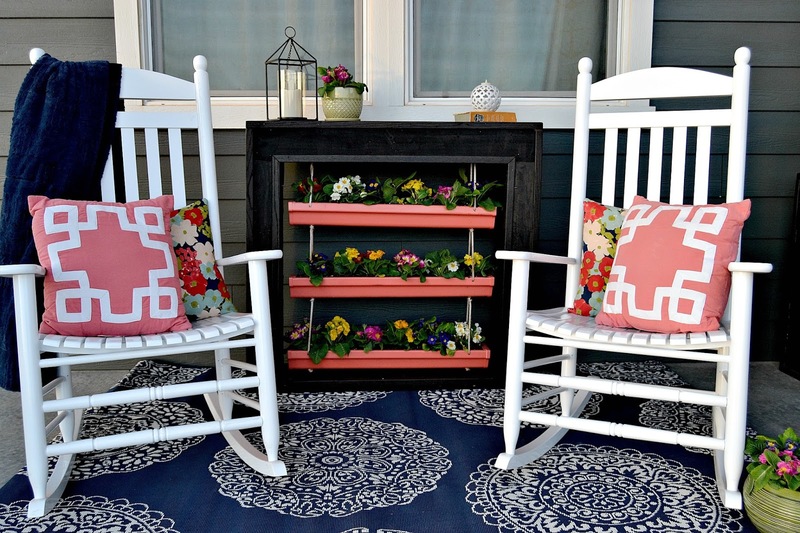 I just adore your outdoor mantel and the fresh pop of color you added to the gutter planters. A lovely arrangement all around! 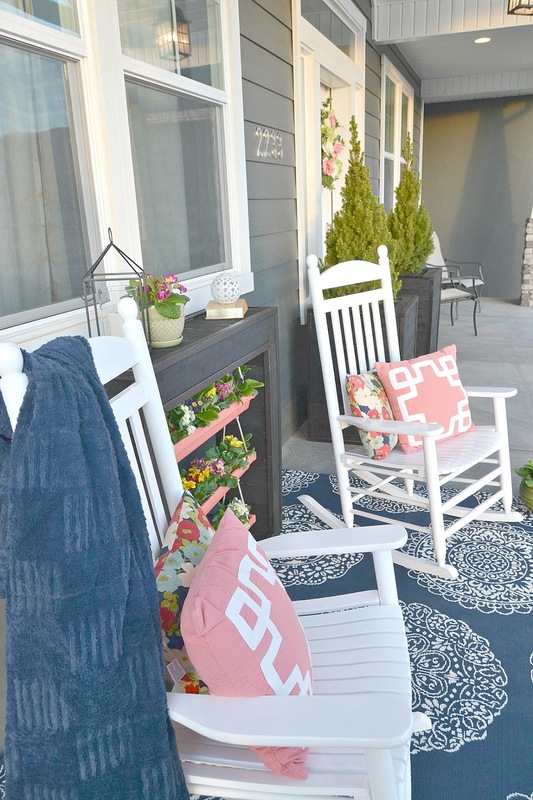 What a cute addition to your front porch! Thank you for stopping by to share your blog, hope that you will stop by for #OMHGFF that starts on Thursdays at 11:00AM. Fantastic project! Thanks for sharing at Merry Monday! 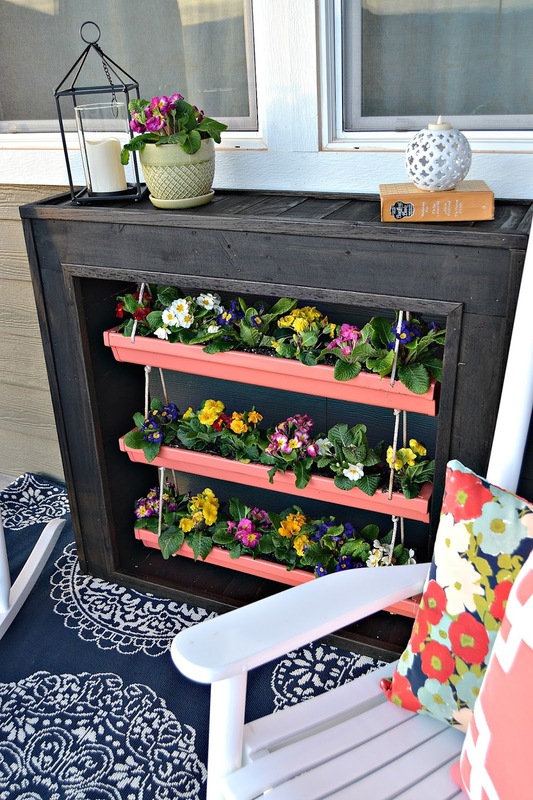 This is a great idea for the planter boxes! 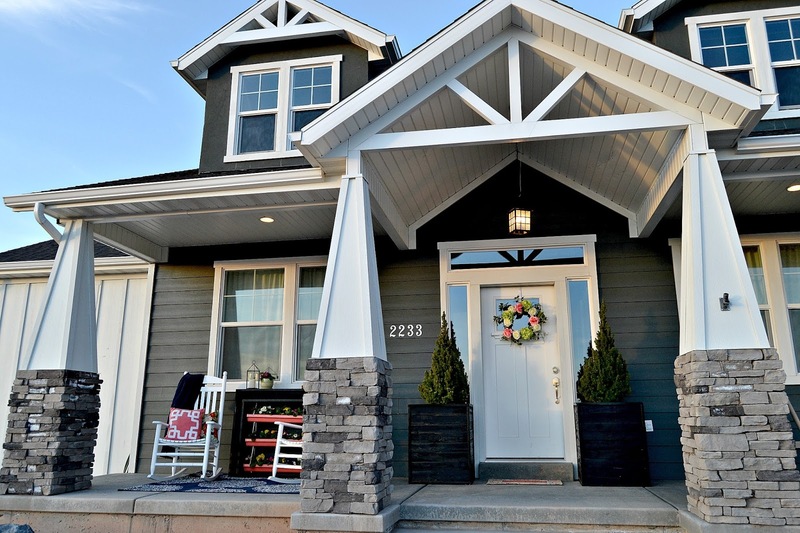 Your entire front porch is beautiful! Thank you for sharing and linking up with us over at the Welcome Home Wednesdays Link Party! Oh, that’s so nice! Sorry to make you sin though:) HAHA!